Arlington Regional Master Naturalists (ARMN) partners with regional parks for great volunteer outreach opportunities. One such weekly outreach is Meet Me on a Sunday at the Potomac Overlook Park in North Arlington run by the Northern Virginia Regional Park Authority. Among numerous activities on this beautiful Easter Sunday, I joined fellow Master Naturalist Nancy Bagwell at the park from 1:30 – 3:30 to talk to visitors about a couple of subjects dear to our hearts. First, Nancy shared her knowledge of hawks, owls, and other raptors and birds with guests using some great exhibits. She generated a lot of interest from park visitors. Second, not as jazzy, but just as important, I spoke to passing visitors regarding invasive plant species. In addition to some good references, we had some mangled garlic mustard (a nasty invasive) on the end of the table we had just pulled up a few yards away. At Potomac Overlook Park, ARMN volunteers and Naturalists have also been working on a native plant garden which showcases alternatives to invasive plants. Park naturalists often lead walks and tours. They also provide refreshments for park visitors. 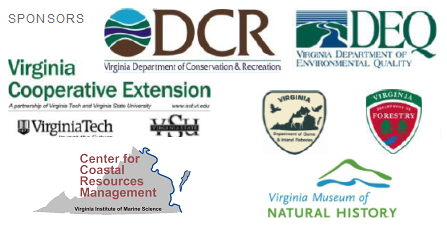 Whether you are a Master Naturalist or just a nature lover, Meet Me on a Sunday is a great opportunity for more time in the great outdoors and to make a “natural connection” at Potomac Overlook Regional Park. Every Sunday afternoon, between 1:30 and 3:30 p.m., various nature activities are offered with the help of Master Naturalist volunteers. This weekly offering is free. Potomac Overlook Regional Park is located at 2845 Marcey Road, Arlington, VA (at the end of Marcey Road, off of Military Road). Call 703-528-5406 for directions and other information or visit the park website: http://www.nvrpa.org/park/potomac_overlook/content/meetme. If you are interested in volunteering at the Potomac Overlook Park with the Master Naturalists or assisting with the native plant garden, you can contact Master Naturalist Joanne Hutton: joannerhutton@gmail.com. This entry was posted in Potomac Overlook Park and tagged community outreach, education, invasives by armneditor. Bookmark the permalink.